i have been devouring books all summer long. while almost all have been educational, not one was about parenting. the latest two books are family oriented in the best ways. i really enjoyed amanda's first book, the creative family and was eagerly awaiting handmade home. great projects - the girl has been busy letting me know what i should make and with what fabrics. the river cottage family cookbook has been great. 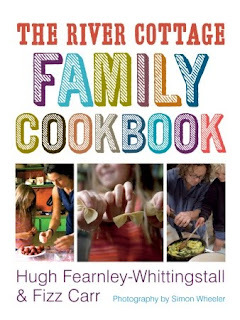 it certainly encourages families to cook together and to eat local produce and meat. we're looking forward to trying to make some yogurt and cream cheese. my husband thinks the sausage making is worth a go too. we are planning to eat more meatless meals this year so i needed to find a little more inspiration and there is no lack in this cookbook.